As we mentioned 2 weeks ago, the FCC has changed its definition of Internet in an effort to “Restore Internet Freedom“. Instead of categorizing it as a telecommunication service, it has stated that the Internet is Information Service. That means the Internet is no longer a public utility, nor is it telecommunications and thus, not within the oversight of the FCC. We thought it would be interesting to compare the FCC’s definitions for telecommunication and information services to those found in the English Oxford Dictionary. Internet — A global computer network providing a variety of information and communication facilities, consisting of interconnected networks using standardized communication protocols. In this definition, it’s clear that the Internet does not provide the information, but does provide the conduit to access information and communication facilities – think ‘edge providers’ like Google, Facebook, Netflix, Amazon etc. If there were no edge providers the Internet would be a network to nothing. Telecommunications Service The offering of telecommunications for a fee directly to the public, or to such classes of users as to be effectively available directly to the public, regardless of the facilities used Communication over a distance by cable, telegraph, telephone, or broadcasting. Looking at the FCC and Oxford definitions, one might conclude that the FCC is not clear on the role that the Internet plays. The Internet does not provide information anymore that a highway provides goods and services. 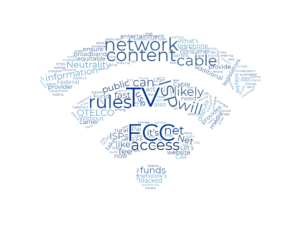 Like the highway providing vehicular access to facilities that offer goods and services, the Internet simply provides access to the edge providers who then offer all of the elements in the FCC Information Service definition. Conversely, the FCC and Oxford definitions of telecommunications service are similar and are closer to defining what the Internet does – which is to allow communication between entities. What the FCC is really doing by creating its own definitions is turning the governance of net neutrality into a hot potato and tossing it to the FTC..
Congress is acting on more and more Internet legislations. The problem with that is a recent Federal Appeals Court in California decided that the FTC cannot enforce any laws over the non-common carrier services of a company that provides common carrier services – which most ISPs do. So, if your telephone provider offers Internet and/or streaming TV service, it is exempt from FTC oversight for its non-telephone services, and, thanks to its reclassification of Internet, the FCC will only oversee telephone services. Following up on our Internet Privacy post a few weeks ago, the Maine EUTC decided to hold, until next session, Senator Bellows bill. 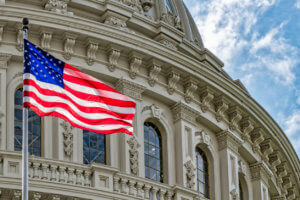 meanwhile, in Washington, Congress has introduced HR 2520, an Internet privacy bill that will preclude states from setting their own rules, and the saga continues. Between the Internet privacy machinations and the current game of hot potato between the FCC and the FTC regarding net neutrality, one has to wonder if we’ll ever reach an equitable balance between consumer protection and commerce where the Internet is concerned.